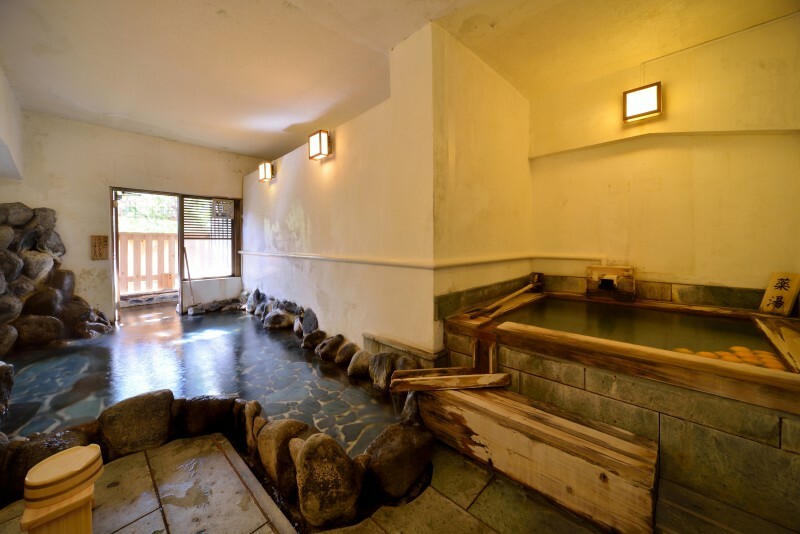 All the baths at Gyokusuikan use naturally sourced hot spring water. 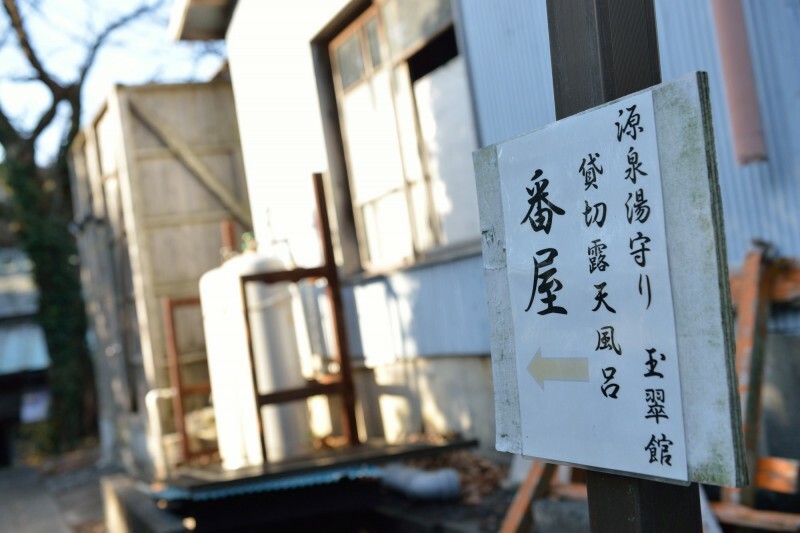 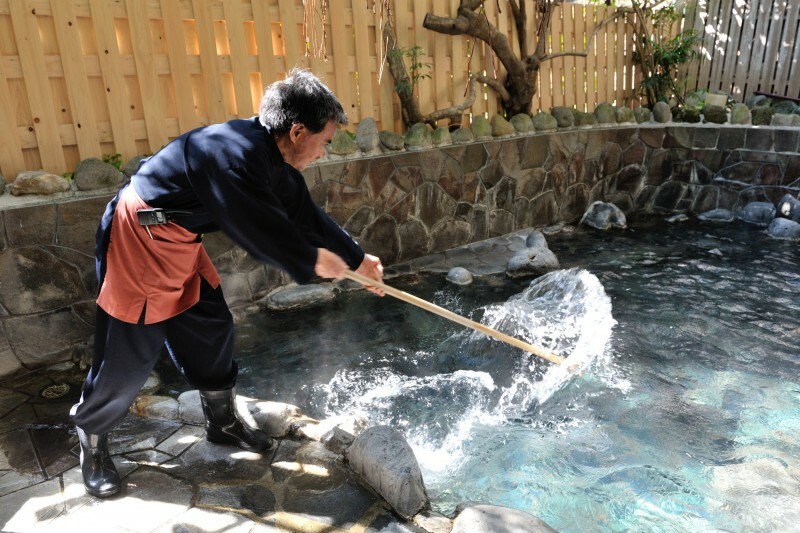 It is a"real"natural hot spring where the hot spring keeper takes good care in controlling the temperature pf the hot spring from two lines of in-house hot spring source at nearly 100℃. 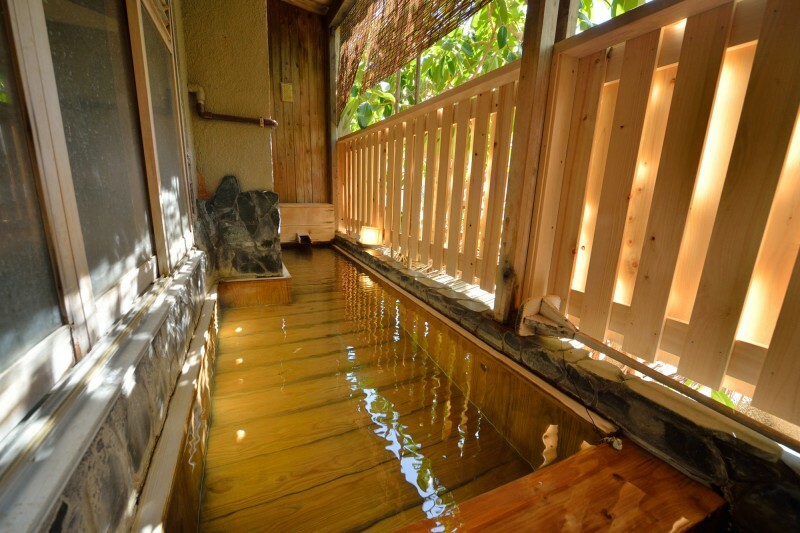 It is a"real"natural hot spring where the hot spring keeper takes good care in controlling the temperature pf the hot spring from two lines of in-house hot spring source at nearly 100℃. 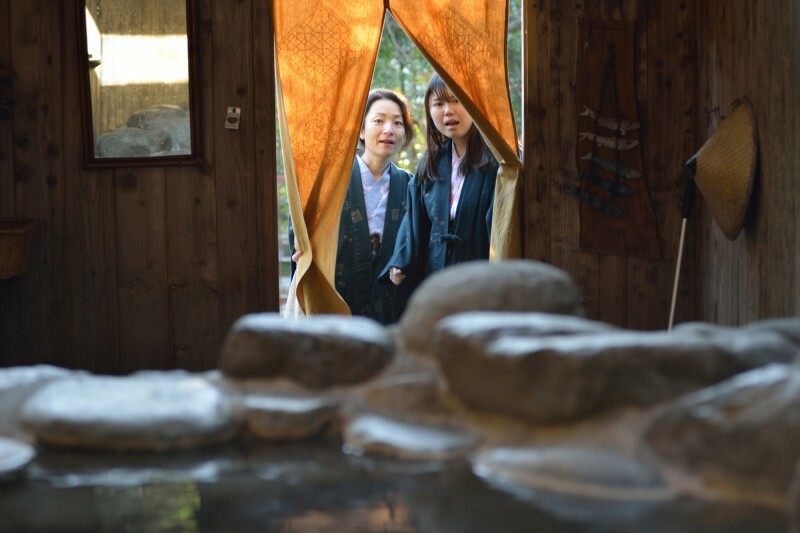 Please ask at the front desk.Please understand that it will be on a first-come-first-served basis for the guests who check in. 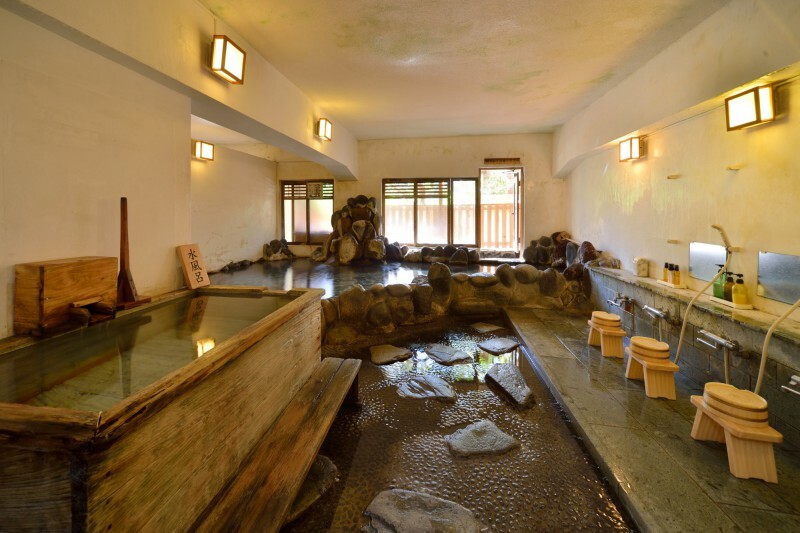 Our hotel owns our own two spurces of hot springs and they spring out hot sprong water at 97℃. 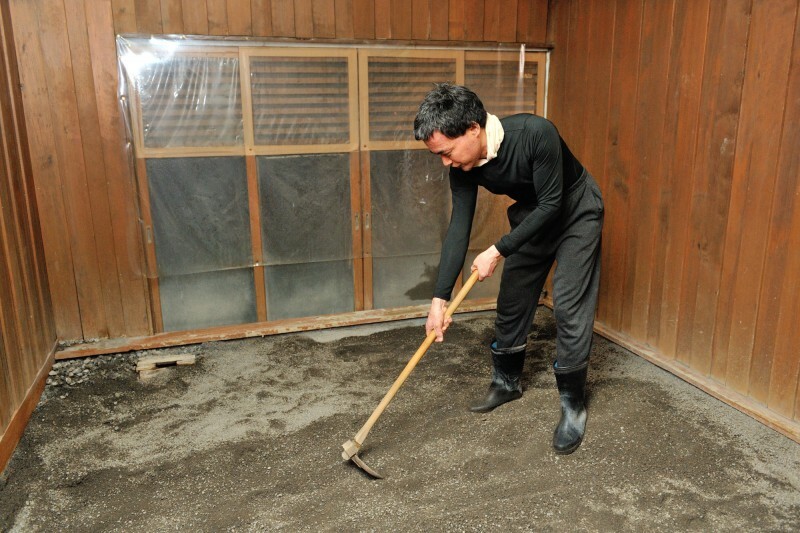 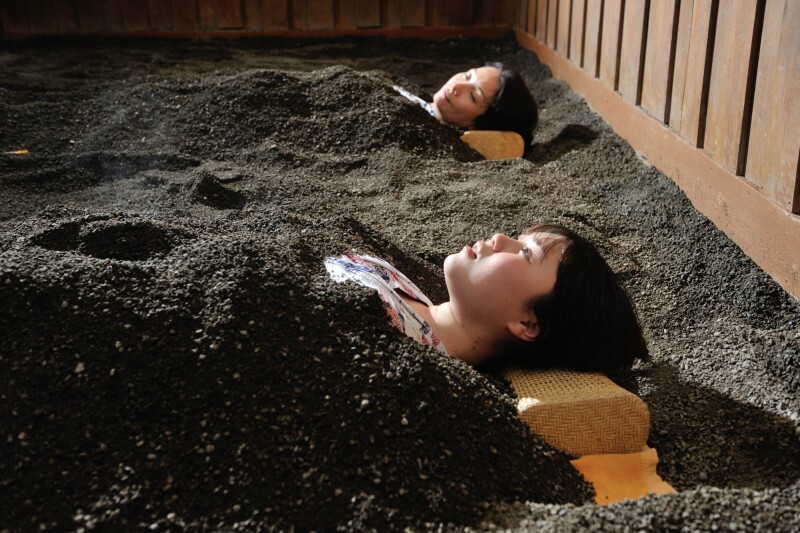 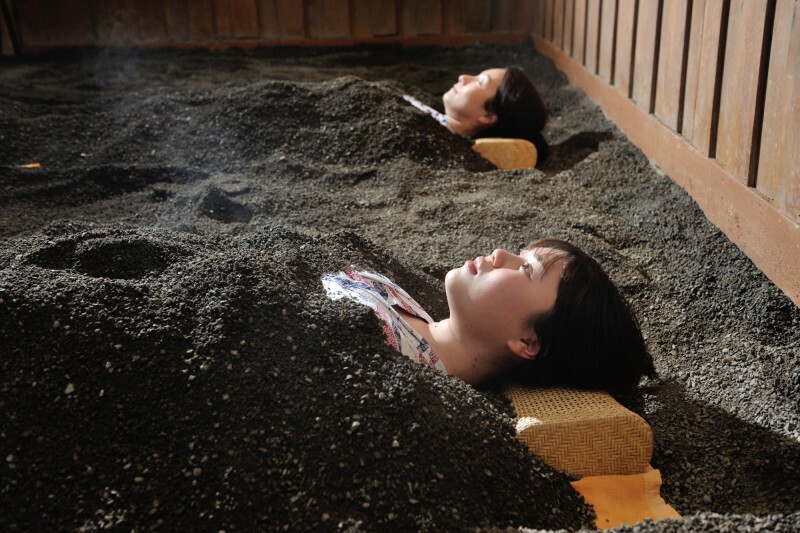 The sand bath promotes perspiration which excretes the toxins from the body by warming the body using the heat of the hot springs. 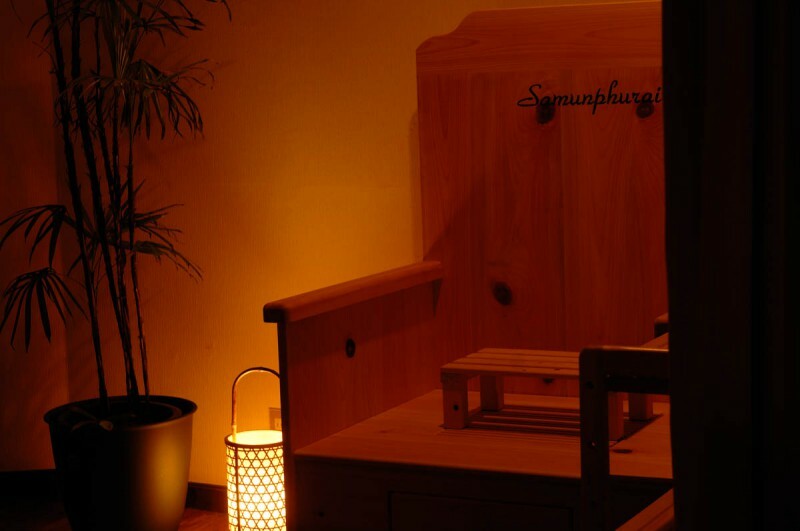 It is also very effective for relieving back pains and stiff shoulders. 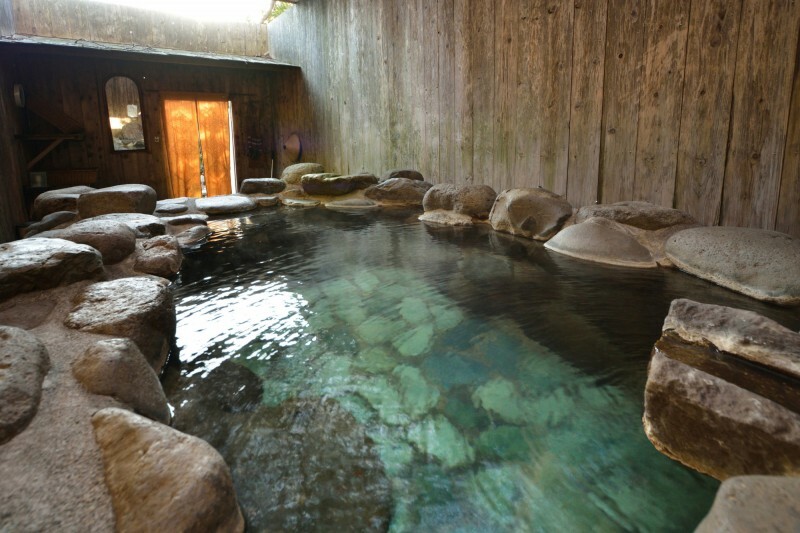 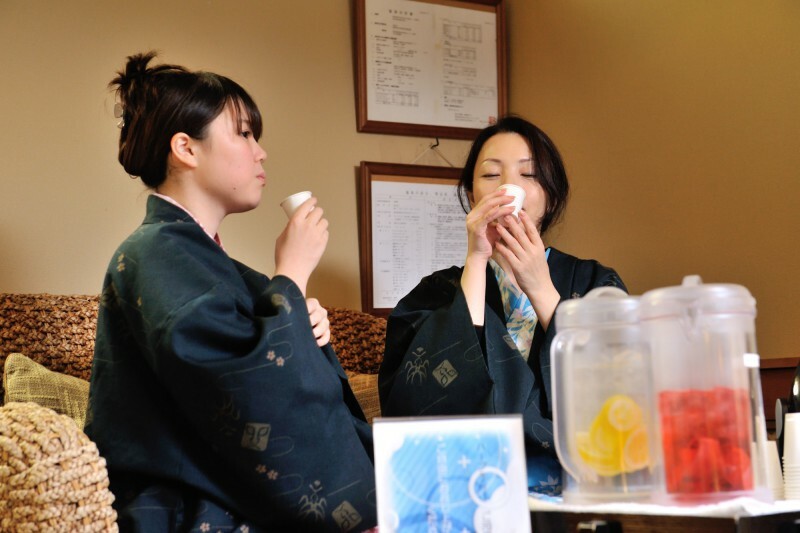 After taking the bath, please take a hot spring bath fresh from the ssource and feel refreshed and relaxed. 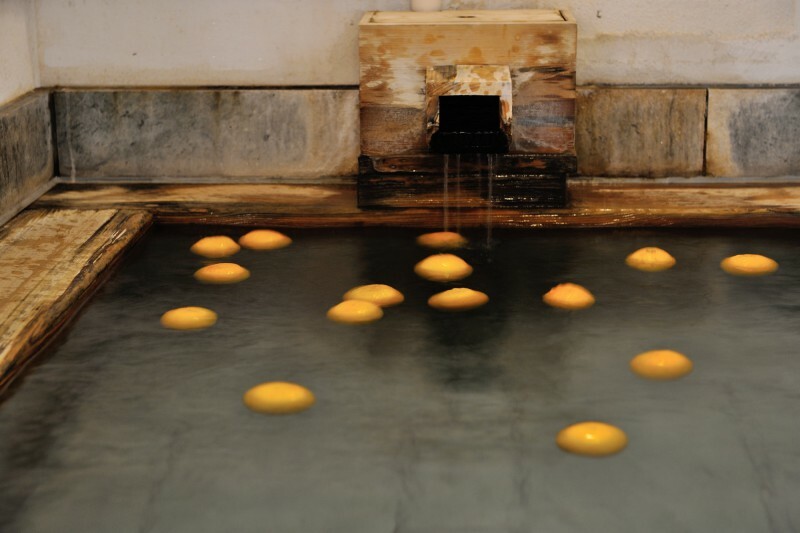 Spring fountain quality and efficacy. 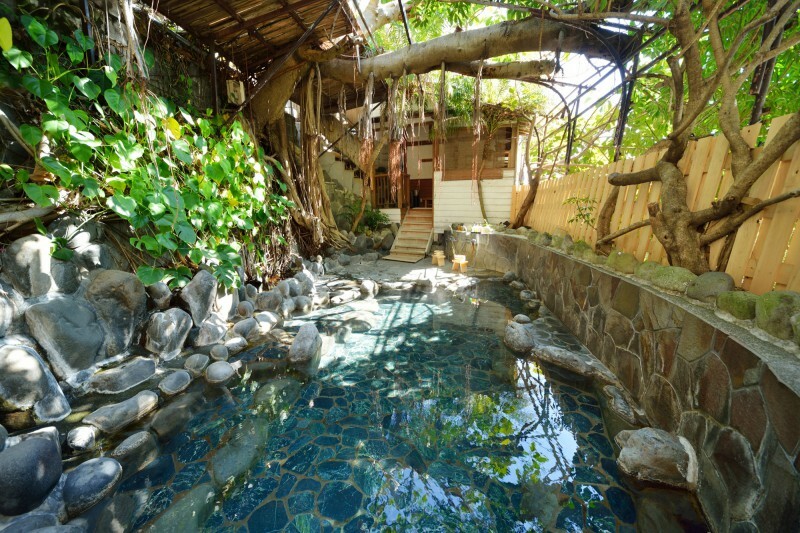 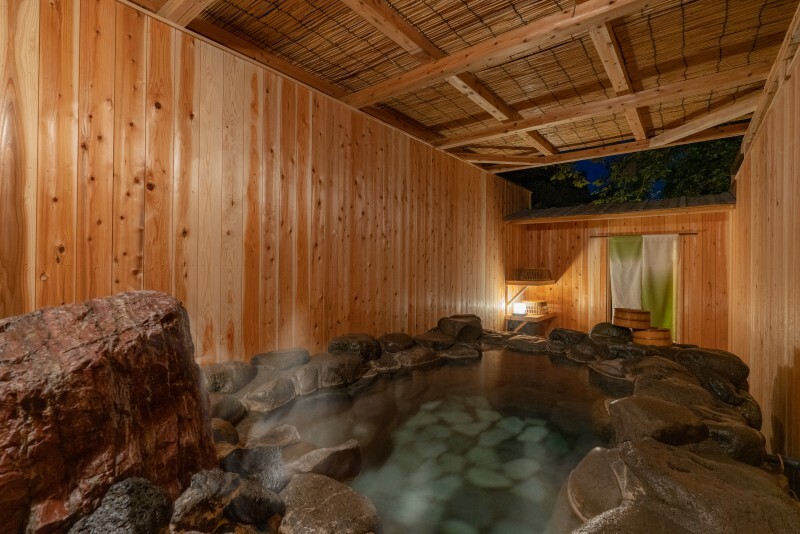 Q Can I make a reservation Private Onsen before check in? 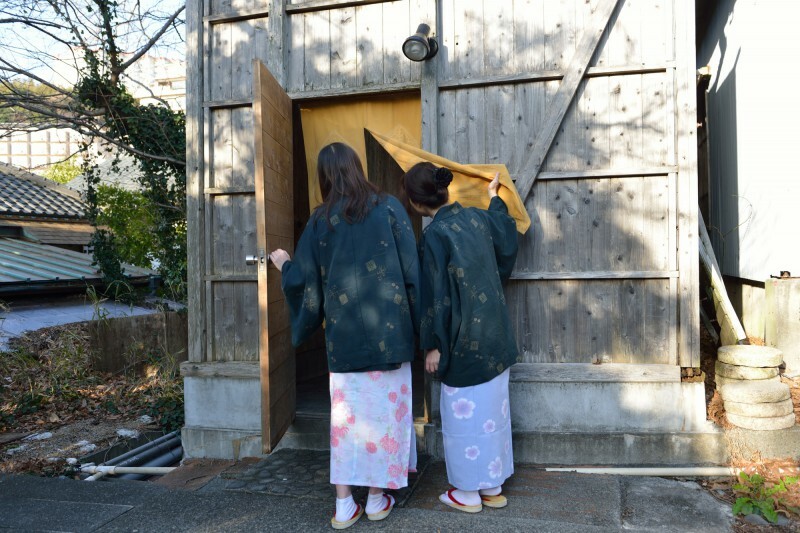 A No, you can make arevervation after check in. 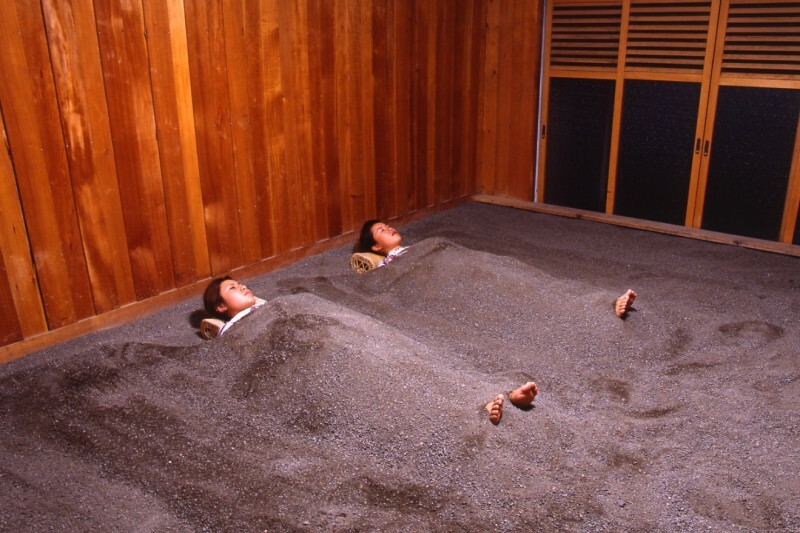 Q Children can take a Onsen? 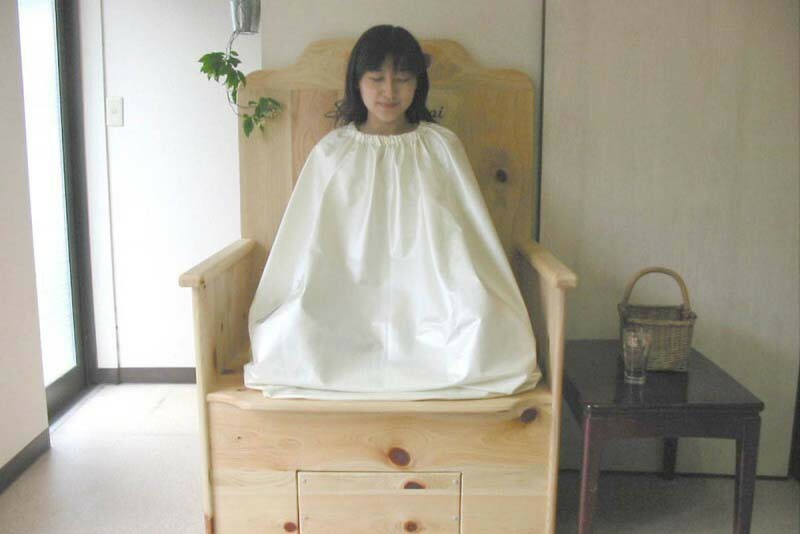 A Yes, your child can take a bath, as if your child were a baby.